Hello & Welcome to Eladio’s Chocolate Adventure! Welcome to Eladio’s Chocolate Adventure! 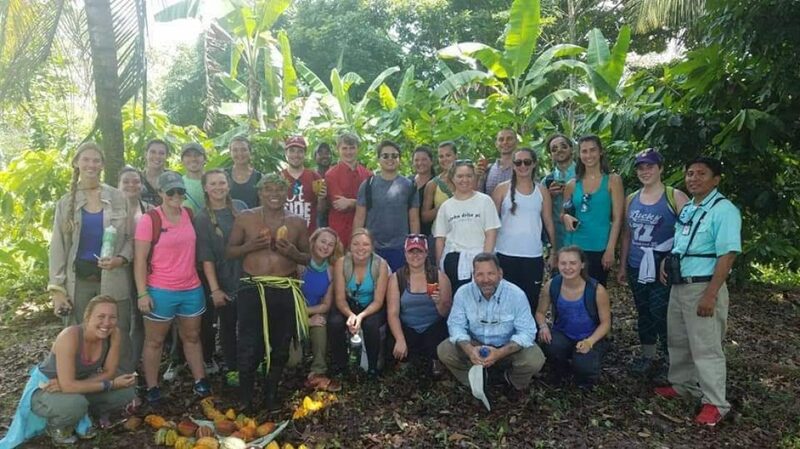 Eladio’s Chocolate Adventure is a family owned and operated Eco Tour, focusing on organic production of cacao and an authentic Chocolate experience. Our Tour includes a Cacao trail, Traditional Chocolate Making and a Mayan style lunch served at our hilltop Restaurant. Categories: About, Farm | Tags: belize, belize tours, belize travel, cacao farm, cacao farming, central america, chocolate, ecotourism | Permalink. Eladio is the farmer here at Agouti Farm!